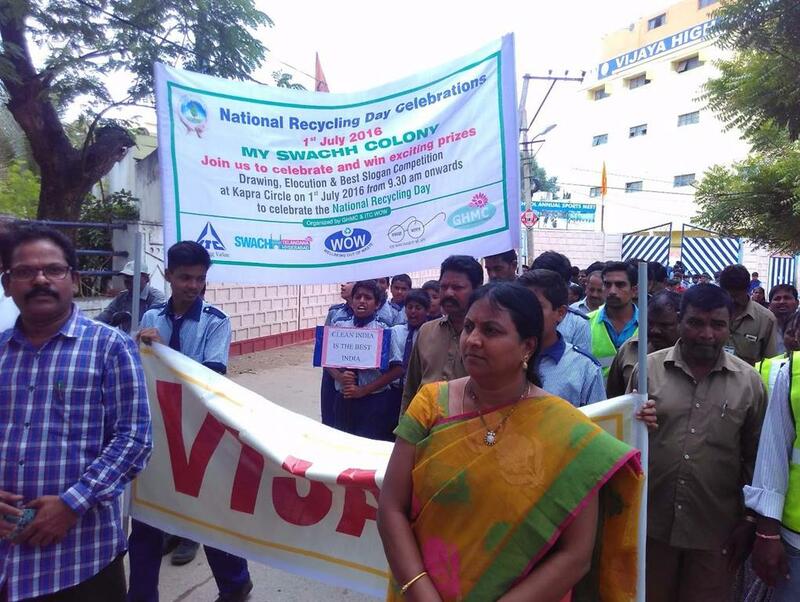 Rally conducted showing message to public on source segregation and recycling. 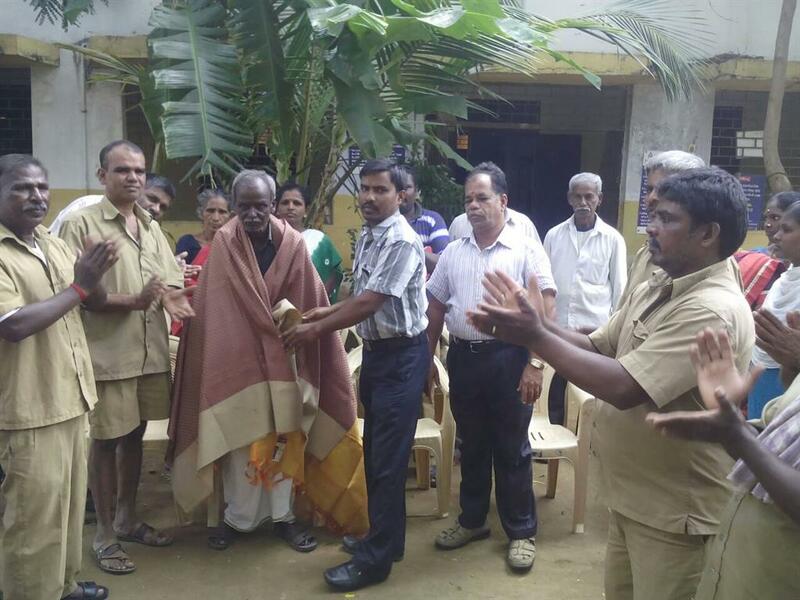 As a part of the National Recycle day in North Zone ward office an appreciation program was conducted. 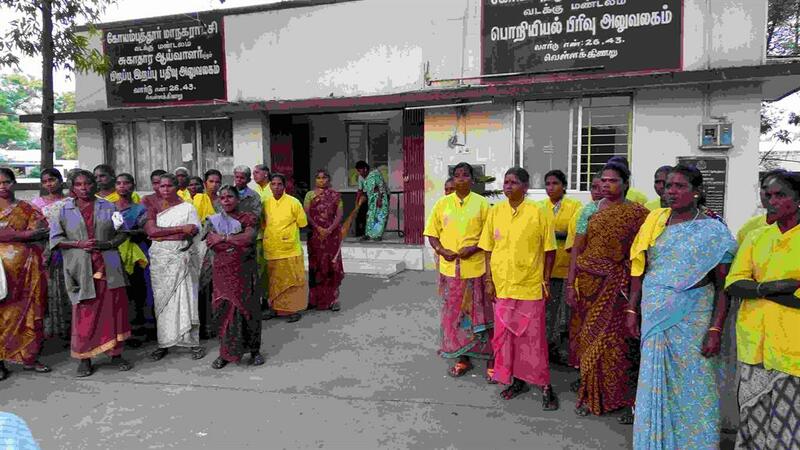 In this meeting the SI had spoken about the more collection made by our CW’s and supporting the WOW program by giving a small momentum. 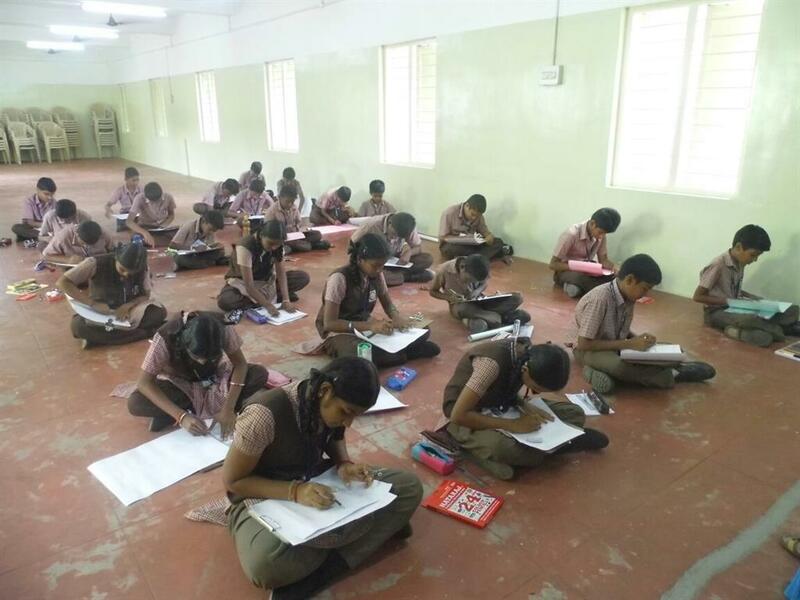 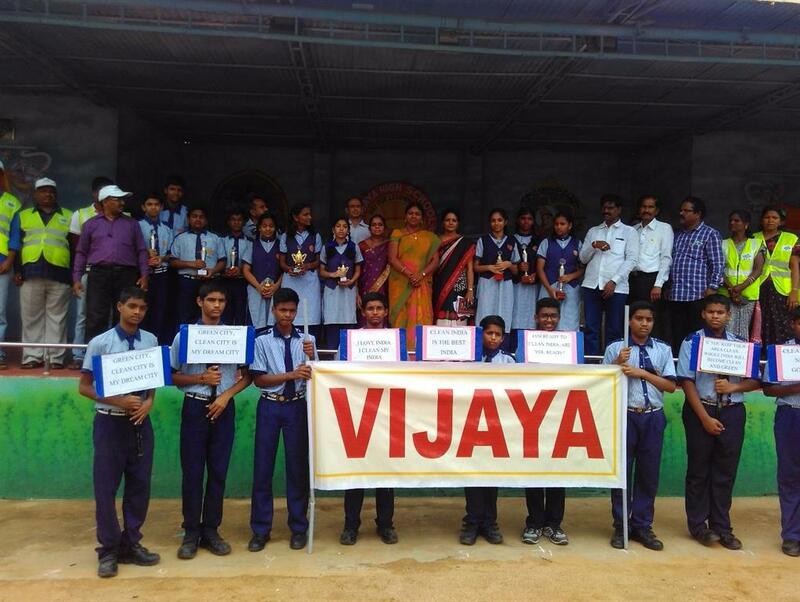 Source Segregation and Recycling Awareness program was conducted in the school to Mark National Recycling Day. 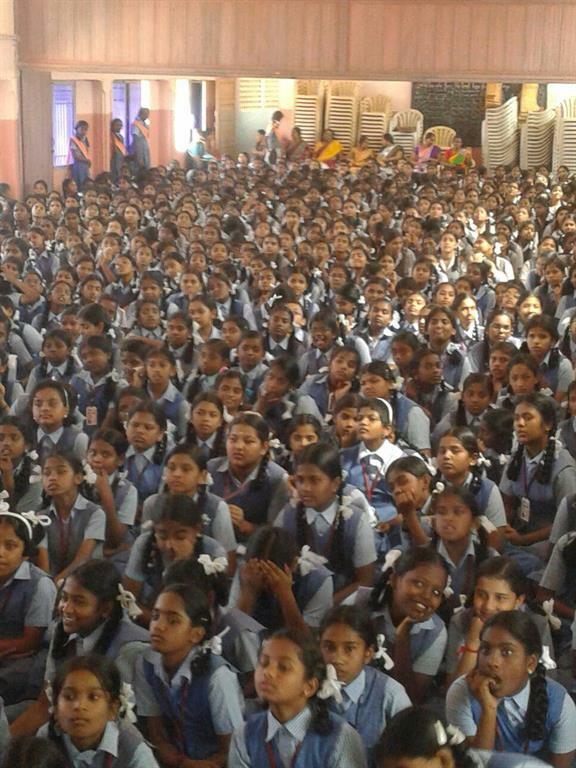 In this program a huge number of students participated in the program and they showed their support towards source segregation and recycling. 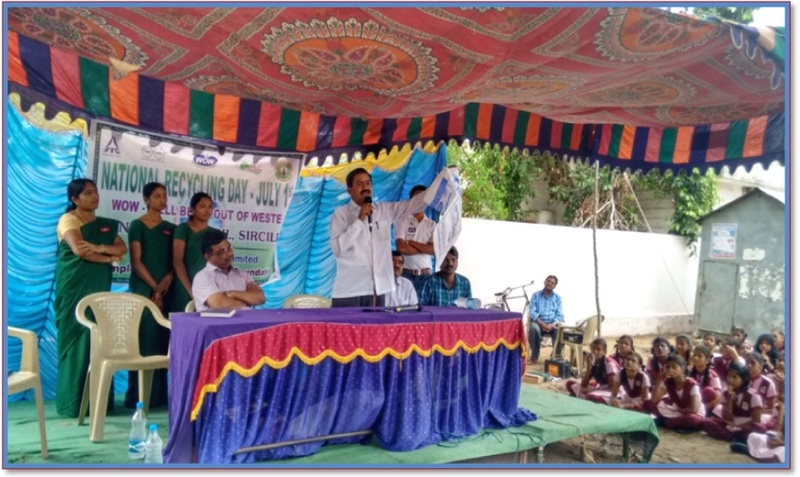 The Event was inaugurated by Mr. S.R.Vishwanath, MLA, Yelhanka Constituency, Mr. Sarfraz khan, Joint Commissioner, BBMP, Mr.Afsar Ahamed, Manager ITC-PSPD & All the BBMP officials invited as guests. 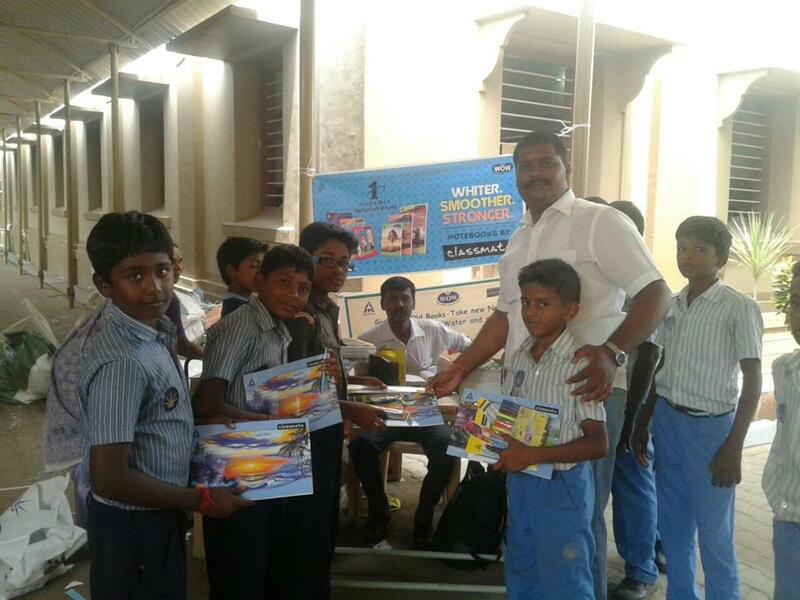 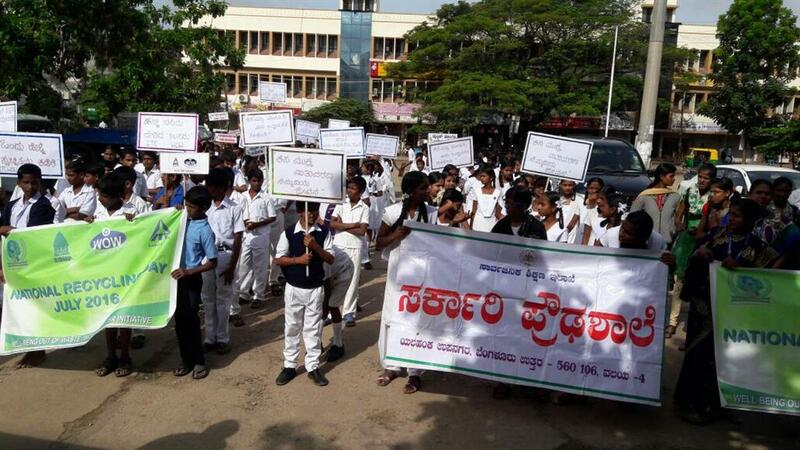 Awareness rally conducted at Yelahanka with the help of local schools on 2nd July 2015. 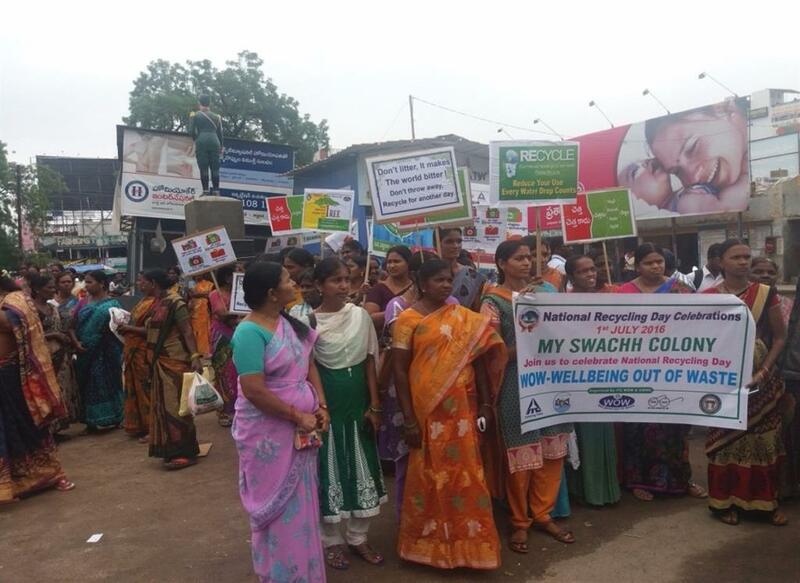 Rally conducted showing message to public on source segregation and recycling through pla cards, banners. 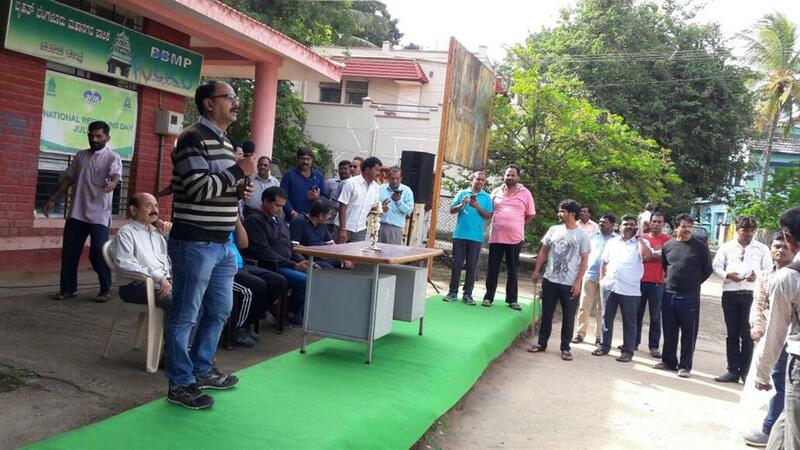 Mr. Vijay Krishna Deputy Commissioner GHMC Uppal, Corporators, Judges and School Representatives. 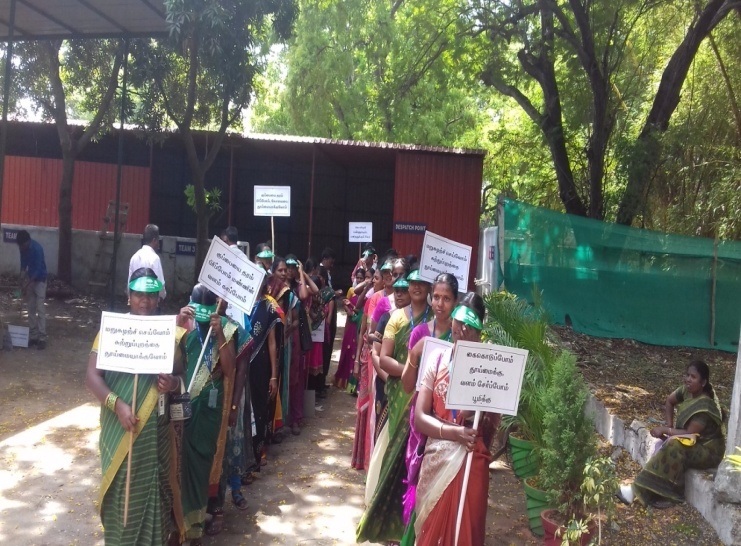 The rally runs through from chowrastha to Public Garden, Hanmakonda. 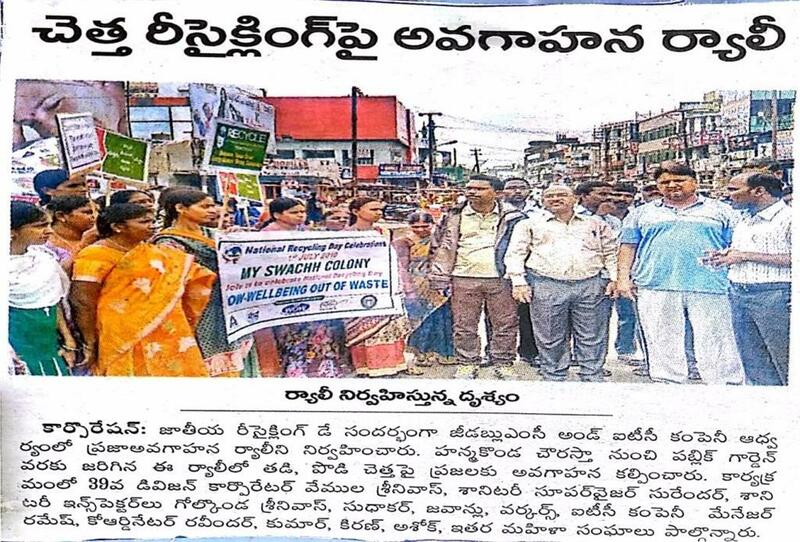 Rally conducted by carrying banners, pla cards, with quotation on importance of recycling and distributed posters, pamphlets. 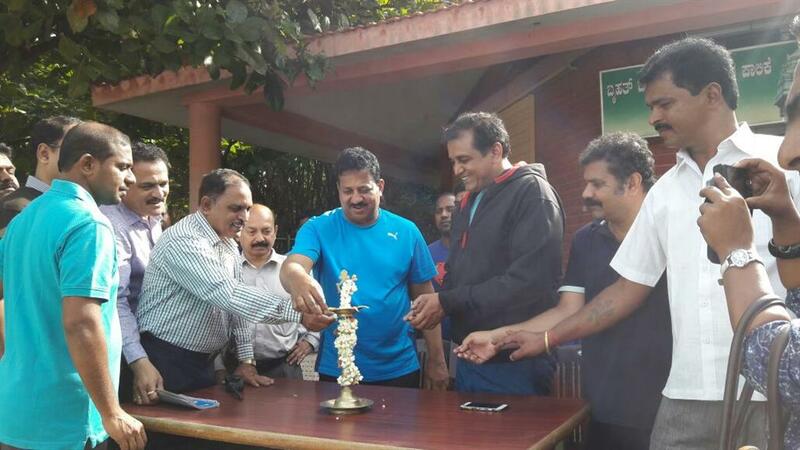 Mr Surender Siricilla – Municipal Chair person, RDO, Corporators and other officials. 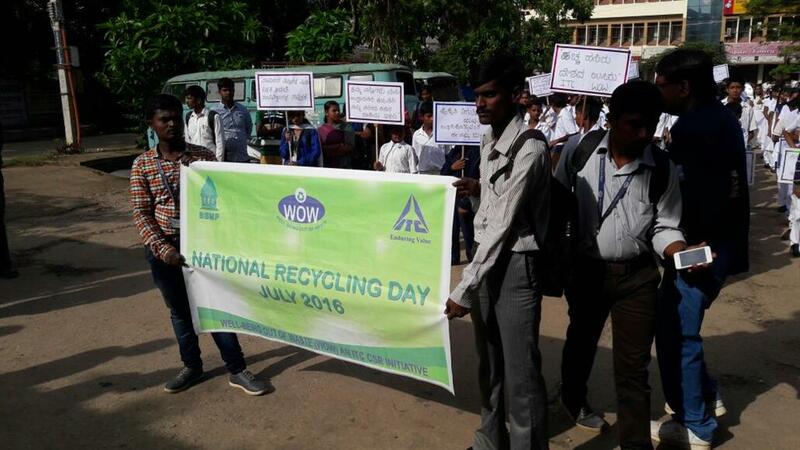 RDO briefed about WOW program and explained about environment and recycling to students and rally started from RDO office to bus stand.